11 Commercial Real Estate & Properties in Cardiff are listed in 1 categories. 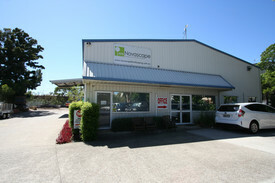 We have 12 Industrial Warehouses Sale & Lease . The Edge Industrial Centre From Only $14,400 net pa .. Brand new & approx. 25 sq/m of fully secure pre cast unit! The Cubby Hole has secure 24/7 access with automatic entry High roller door access with lighting & power Located in the Cardiff Industrial Estate Only $90 per week gross + GST One on site car park available at $20 per week + GST! Two access, high roll a door and high clearance. Secure warehouse in very busy industrial Estate close to M1 Motorway, Newcastle and Sydney only two hours away. Available August 2014 Contact Patrick Mitchell on 0421 000 033 DISCLAIMER We have obtained all information provided here from sources we believe to be reliable; however, we cannot guarantee its accuracy. Prospective purchasers are advised to carry out their own investigations and satisfy themselves of all aspects of such information including without limitation, any income, rentals, dimensions, areas, zoning and permits. Industrial warehouse in solid brick complex with high roll a doors and high clearance with two offices as well. Plenty of car parking in the grounds. Security, space, close to M1 Motorway and Newcastle. Contact Patrick Mitchell on 0421 000 033 DISCLAIMER We have obtained all information provided here from sources we believe to be reliable; however, we cannot guarantee its accuracy. Prospective purchasers are advised to carry out their own investigations and satisfy themselves of all aspects of such information including without limitation, any income, rentals, dimensions, areas, zoning and permits. Approximately 740 sq/m of open warehouse. Includes A/C reception, offices. All amenities with shower and storeroom. Huge hardstand of approximately 1000 sq/m. Fully secure, gated site. Great incentives on offer for long term leases!. Approximately 700 sqm and can be split either 500 or 200 sqm available. Easy access with great signage opportunity. Small office with amenities. Incentives on offer based on lease term.